Auch ein guter Teil des Abschwungs, den die Aktien der von uns beobachteten Khiron Life Sciences (WKN A2JMZC / TSX-V KHRN), deren Kerngeschäft in Kolumbien liegt, hat sicherlich damit zu tun (auch wenn sich die Aktie zuletzt wieder etwas erholen konnte). 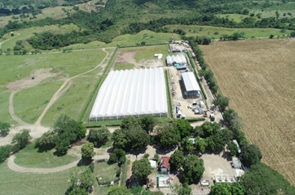 - The Hindenburg/QCM Aphria (TSX: APHA) report cast doubt on their people and properties in Jamaica and Latin America. Consequently, investors began to doubt the management and operations of Khiron (TSXV: KHRN). - I discuss Khiron's management and properties. I've met many of their key people at the head office and I have visited the cannabis grow property. Khiron is the "Real Deal.". - The short seller's attack exacerbated an already declining cannabis stock market as Aphria crashed, the market sold down and investors sold KHRN in sympathy. - If only 10% of the Hindenburg/QCM claims are correct, I think APHA faces a long and difficult road back. If the allegations prove substantially accurate, APHA could be in serious trouble. - KHRN faces no such issues. In fact, 2018 should be an outstanding year as the ILANS acquisition is expected to add at least $10 million to revenue, sales of cosmeceutical branded 'Kuida' have commenced and sales of medical cannabis will begin. With a market cap of under $100 million, the APHA crash has created a KHRN opportunity offering outstanding prospective returns to investors. I guess you have to conclude that this is a “Missouri Market,” that is, a show me stock market. The controversy surrounding Aphria and their investments in Latin America as described in a Seeking Alpha publication by Hindenburg Research titled “Aphria – A Shell Game with a Cannabis Business on the Side” (read full report here) and a presentation by Gabriel Grego of Quintessential Capital Management (QCM) at a short seller’s conference on December 3, 2018, (see presentation here) have resulted in investors questioning the nature and value of Khiron’s assets in Colombia. Well, I’ve been there and seen that and I can tell you Khiron (TSXV: KHRN) management and assets are nothing like what has been represented about Aphria’s LATAM management and assets in the Hindenburg and Quintessential reports. In fact, I don’t think Khiron was mentioned once in those stories and if they had been, there would have had nothing negative to report. I was last there in October 2018 at which time I visited their offices located in Bogota. 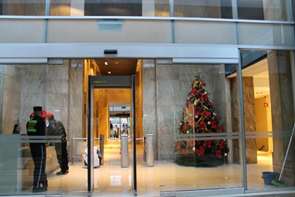 First, there is security you need to pass to enter the lobby of their office building. There are security people that check your credentials before you can pass through the turnstiles into the lobby. Paola Ricardo of Khiron cleared me into the lobby, but the security people still checked my passport. Paola took me up to Khiron’s offices in the secure elevator. These pictures are more recent. KHRN’s office is as modern and more secure than most you would find in a major city in North America. 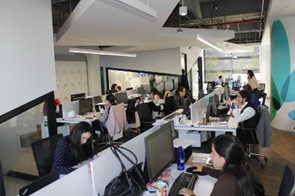 The offices are laid out in open configuration to encourage communication among employees. I was impressed by the fact that founder and CEO Alvaro Torres' office was with everyone else in the open layout. There is a boardroom for meetings, bathrooms, a lunchroom for everyone, a few smaller enclosed offices for smaller groups to meet privately and even one tiny room if you need to have a private telephone conversation. There were around two dozen employees at work that day, some of whom I met on an earlier visit. The purpose of this trip was twofold. First, a visit to the offices of the Latin American Institute of Neurology and the Nervous System (ILANS), one of the fastest growing and largest health service provider networks in Colombia and Latin America. The ILANS network represents an estimated 100,000 patients that had audited 2017 sales of approximately $10.5 million and EBITDA of $1.8 million. 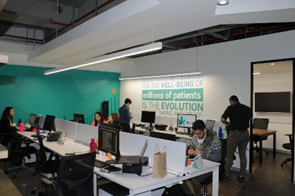 We visited the main ILANS clinic in Bogota, saw staff and patients in the offices and waiting room and had a short presentation by Dr. Jairo Espinoza, neurosurgeon and founder of ILANS. Dr. Espinoza described how ILANS fits into KHRN’s marketing plans and everyone was impressed with his expectation for ILANS growth in 2018 and beyond. Khiron has since concluded a definitive agreement for the acquisition of ILANS. Second, I attended and visited the Khiron booth at the XVII Feria de Belleza y Salud which introduced their Kuida line of CBD infused cosmeceuticals. This is the largest health and beauty conference in Colombia attracting more than 55,000 attendees to discover new products and the latest trends in the industry. There was consistent traffic flow through the booth. I was also invited to the launch party held at a major hotel in Bogota attended by several hundred interested cosmetics industry people, some of whom I met and talked to in a cocktail party setting. The Kuida project is the responsibility of Andrés Galofre, Vice President of Commercial. 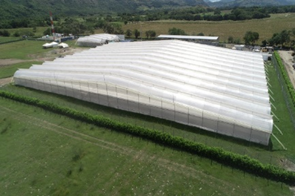 On a previous trip, I visited their grow facility that was at an earlier stage of construction. KHRN has an outstanding property with natural security and ample room for expansion which they have taken advantage of since. On my most recent visit, I met with founder and CEO Alvaro Torres for around an hour as he went through in detail what has been done and still needed to be done at the property. The photographs above show the construction at a recent date. 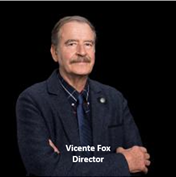 Vincente Fox, former President of Mexico and head of Coca-Cola’s Latin American operations before that chose to join Khiron’s board of directors and as recently as this week was on BNN representing the company. Would Fox choose to join a ramshackle business as depicted in the Hindenburg Report? No, he would not. 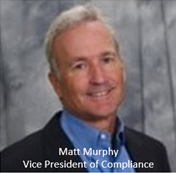 I have met and spoken with Matt Murphy, Vice President of Compliance who spent 25 years as a Career Special Agent with the U.S. Drug Enforcement Agency. Matt has been interviewed on 60 Minutes as an expert on drug law enforcement. Would Matt join a business described in the Hindenburg report? No, he would not. 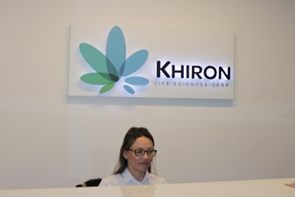 Juan Diego Alvarez is Khiron’s Chief Regulatory Officer, who is the recognized cannabis regulatory expert in Colombia and Latin America and a Professor of Law at the University of Los Andes. Would he? No, he would not. 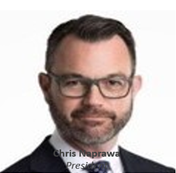 Chris Naprawa is the President of Khiron and has extensive investment banking experience. He was Partner at Sprott Capital Partners, a senior position with one of Canada’s most prestigious resource investment banking companies. Same question; same answer. Alvaro Torres is the person most responsible for putting Khiron together. 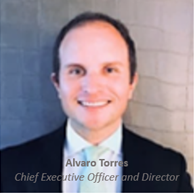 Alvaro has over 15 years of experience in the Latin American market, including infrastructure projects and project finance, management strategy, team development, and mergers and acquisitions. 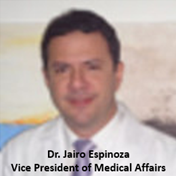 Mr. Torres was previously head of business development for SNC-Lavalin, Colombia. This high caliber team of executives chose Khiron because it is not a LATAM company described by Hindenburg. Conclusion: it seems clear Khiron’s stock price has suffered from the doubt created by the alleged descriptions of Aphria’s Latin American operations in the Hindenburg report. Clearly, KHRN's offices, operations and management team are significant and real. It is unfortunate that the cannabis group stock correction currently driven by the Hindenburg/QCM report has also negatively impacted KHRN. But if you believe in Khiron and its people, then you have to conclude the oversold position of the stock represents a major buying opportunity. Additional disclosure: The author owns warrants to buy 150,000 common shares of the Company.